At the February 25th Board Meeting, School Board Member Dr. Dorothy Bendross-Mindingall (D-2) was proud to recognize Zoe Terry (Zoe’s Dolls) for her leadership and work to provide dolls of color to girls throughout the County. We salute Zoe and her mother, Nakia Bowling, for their support and commitment to making our girls feel beautiful! Board Member Dr. Bendross-Mindingall (D-2) also honored women leaders for their work and advocacy on behalf of all women and their families. We salute you all for your passion and support to our schools and community. 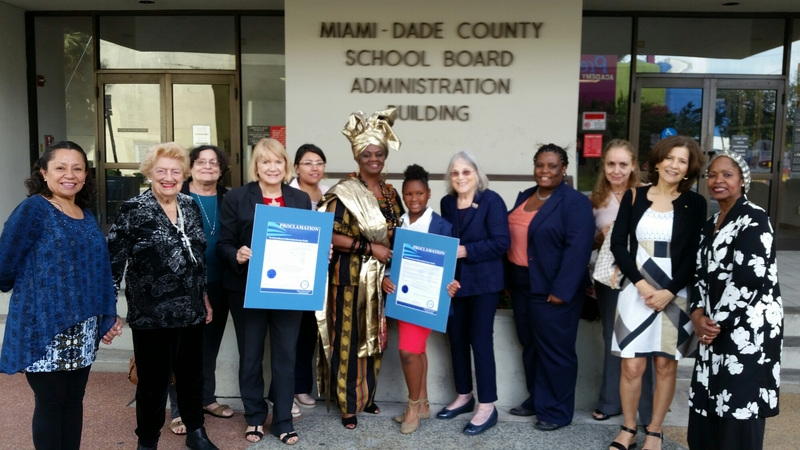 Posted on February 15, 2017 by District 2 MDCPSPosted in Agenda Items, MDCPSTagged #ZoesDolls #BlackHistory #District2WorkingForYou #EducationIsTheKey #EveryChildMatters #SeeYouOnTheJourney.